How to Watch 2K/4K, HD and Common Videos and Movies on any Kids Tablets? Outline: If you want to get any of tips for watching 2K/4K, HD or Common Videos and Movies on your Kids Tablets, such as Nabi 2, Hudl 2, Nexus 7, Nvidia Shield, Kindle Fire, InnoTab 3S Plus, ChildPad, Kurio 7, LeapPad, etc., you only need to know what file formats does Kids Tablet support, and then encode unsupported Videos to Kids tablets supported formats by Wondershare Video Converter Ultimate. Not all Kids tablets can play HD videos and audios such as H.265/HEVC, MKV, AVI, Divx, Xvid, VOB, WMV, MPG, Tivo, FLV, AVCHD, M2TS, TS, WebM, FLAC, WMA, M4A, OGG, AC3, AAC, etc., so just check your Kid tablets supported playable video and audio formats. Generally, the HD video files might not able to be played smoothly on Kids tablets or they are too large in size to be stored in. To deal with such issues and get rid of all the worries in playing HD videos on Kids tablets, you might have to take the advantage of some professional HD video conversion or compression software. Wondershare Video Converter Ultimate can help convert any video formats, regardless of high or standard definition and make smoothly 250+ HD Videos playback on Kids tablets without worrying about the file size, memory and compatibility. All you have to do is to convert videos H.265/HEVC, AVI, MOV, WMV, MPEG(4), MKV, MP4, DivX, ASF, QuickTime, M2TS, TS, MPG, Xvid, Tivo, ASF, F4V, FLV, etc., or compress HD videos to kids tablets supported formats, MP4 is the friendly format for all kids tablets, including Tesco Hudl, Hudl 2, Google Nexus 7, Nabi 2, Nabi, Nook Color, Nvidia Shield, Kindle Fire, Kindle Fire HD, Kindle Fire HDX, Galaxy Tab 3 Kids Edition, DreamTab, Cubby Kids Tablet, ChildPad, Kurio 7, LeapPad Ultra XDi Learning Tablet, InnoTab 3S Plus, etc., view here to learn more kids tablets. Note: The guide below is mainly for Windows users. Of course, the Mac users’ guide is extraordinarily similar to it. Just download or buy the Mac Video Converter. 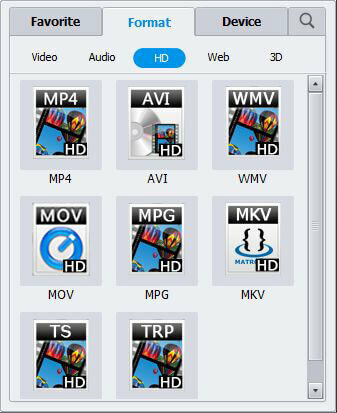 To do it, go to “Add Files” button to browse your computer hard disk to select the AVI, MKV, VOB, Tivo, FLV, etc. video files you want to import. This great app supports drag-drop operation and batch conversion, so you can also drag one or several video files to the program instead. Step 2. Select a suitable format as the output format. 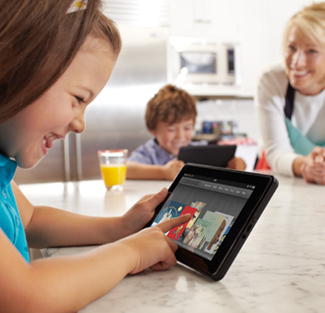 First, let me see Kids Tablet supported video format: 720p HD video MPEG4, H.263, H.264 and DivX. So here, we select MP4 with MPEG4 codec as the output format. Now let me walk you through the operation. Click the Format icon in the “Output Format” pane, and then select “MP4” from the “Format”>”Video” category. Next, hit the “Settings” option in the main interface and set resolution as 1280*720 for Nexus 7, 1024*600 for Nabi 2, 800*400 for Kurio 7 and ChildPad, etc. 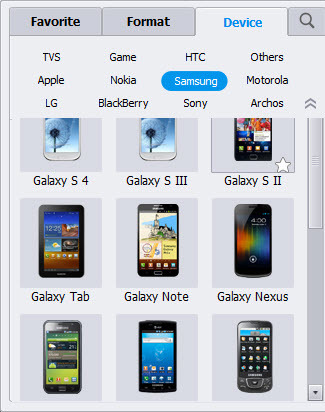 Here, you can hit the “Device” tab. Immediately, you can see many device brands like “Apple“, “Samsung“, “HTC”, “Sony”, “LG”, “Archos”, “Nokia”, “BlackBerry”, “Game“, etc. The last step is to hit the “Convert” button on the lower-right corner of this app’s main interface. It means you launch this app to start video conversion. Note that, this app support batch conversion. So if you want to convert multiple videos to any Kids Tablets, you can import them at the same time. And now let it run in the background. When it’s done, click the “Open Folder” option in the main interface of this Video Converter . Find the .mp4 output files and then transfer them to your Kids Tablet via cable. You’ll be amazed to find these originally-unsupported videos can be recognized and played smoothly on the device now. 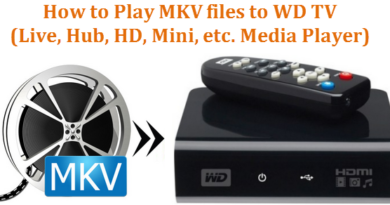 With it, you can feel free to enjoy H.265/HEVC, AVI, MOV, WMV, MPEG(4), MKV, MP4, DivX, ASF, QuickTime, M2TS, TS, MPG, Xvid, Tivo, MOV, ASF, F4V, FLV, etc. videos on your Kids tablet whenever and wherever! ← How to Make Your Tablet Safe for Kids? This is a awesome program it performs well and good for video. Perfect software! I can download videos from Youtube and turn these downloaded videos to hudl 2 tablet playable video and audio formats, thanks for your sharing! I’m enjoying it a lot, it’s an fascinating task to edit the videos by yourself. It was the 1st time to edit my videos by myself, it’s a fantastic experience, as from the job, you can review all of the videos you have with your family, and certainly you will find some unexpected details during the editing process. I have a school project that need video editor to finish it. And this app really easy to use for beginner like me. Thank you so much, I think this app is the best. This is very nice app for pc. I tried the trial version amongst many others out there and this was the fastest and most user friendly esp for a non techie person. I really like this program and the design. Your method of explaining everything in this post is actually pleasant, every one be able to simply be aware of it, Thanks a lot. Manyn Video conversion tools can sometimes be scary, complex, intimidating – but not this one, wondershare video converter ultimate is all very easy! You can just drag in your files, choose the output format you need from the wide selection on offer, click “Convert Now!”, and the program will go to work. It’s all very easy.